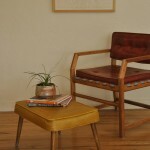 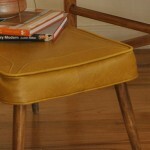 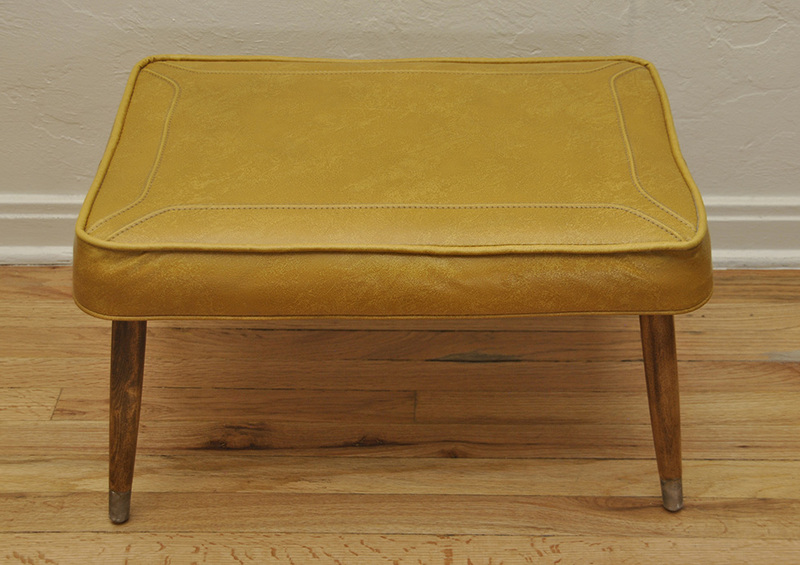 Vintage Mid Century rectangular mustard yellow ottoman. 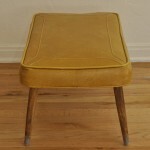 Original vinyl fabric in great condition with newly refinished legs. 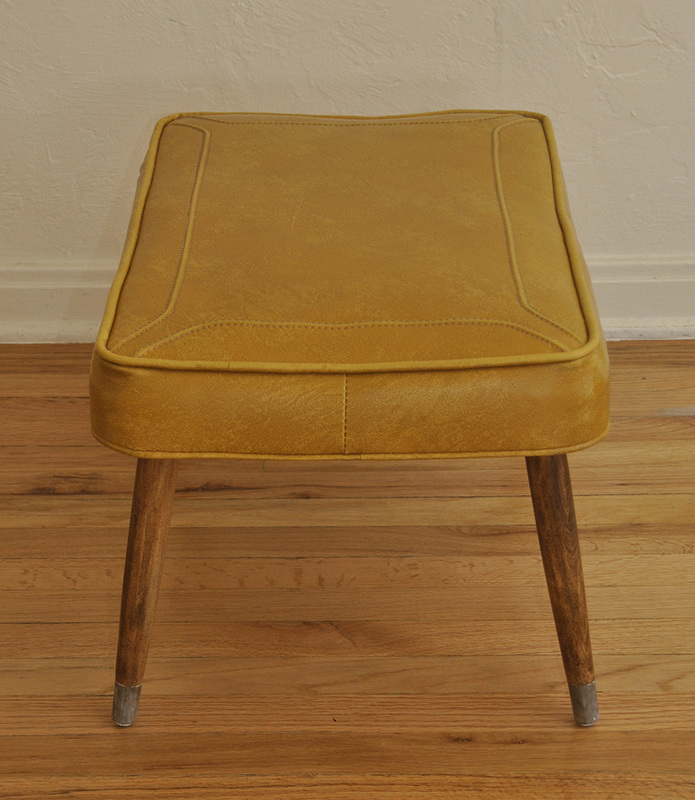 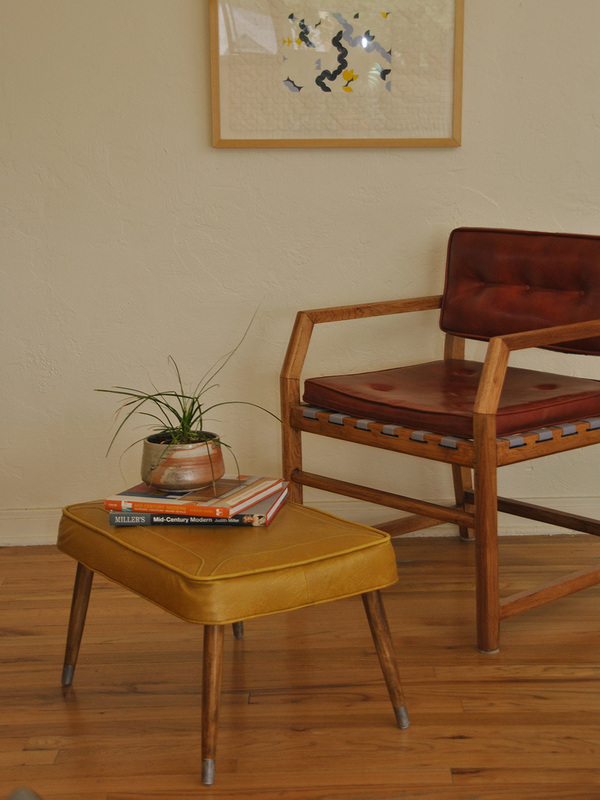 Adorable additional to a shared living space, bedroom, or office.